MÜNSTER - 's-Hertogenbosch and Mechelen. MÜNSTER, S. - 's-Hertogenbosch and Mechelen. 's-Hertogenbosch and Mechelen. - MÜNSTER, S.
Title : 's-Hertogenbosch and Mechelen.. Size : 4.9 x 6.1 inches. / 12.5 x 15.5 cm. Description :Very early panoramic views of 's-Hertogenbosch and Mechelen. Size of the sheet is 364x235mm. 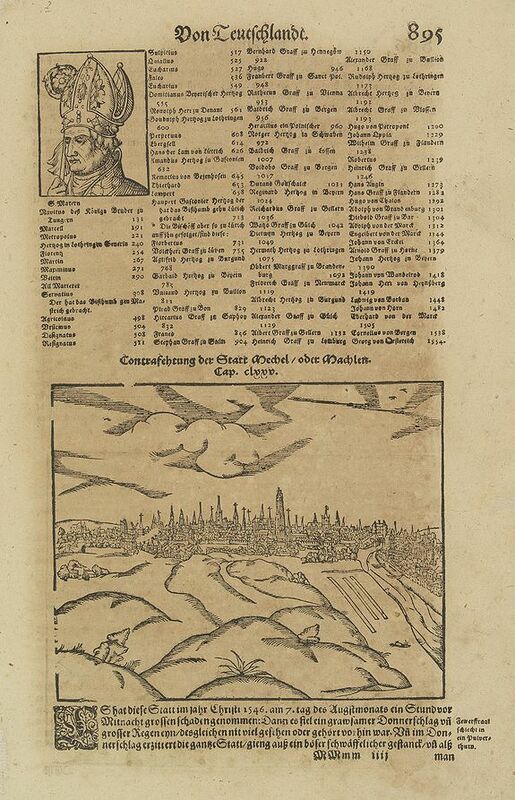 From his Geographia , that great compendium of Renaissance knowledge. Condition : Wood block print with letter press. Paper slightly browned as usual. On verso a view of Mechelen.